The popular prime-time singing competition The Voice UK has returned to dock10 for a fourth series. Over 8,000 fans will watch the auditions stages live in our studio. Created by John de Mol and based on the concept The Voice of Holland, the competition is watched over by a panel of judges including Ricky Wilson, Tom Jones, Rita Ora and will.i.am. They make their initial selections based purely on the quality of the voice they hear, with the winner receiving £100,000 and a record deal. "In my opinion, the studios at MediaCityUK (dock10) in Manchester are, quite simply the most complete studio set up that currently exists in the UK. In terms of the number and variety of spaces, the facilities and the creative support offered by the staff, the dock10 studios are unrivalled. 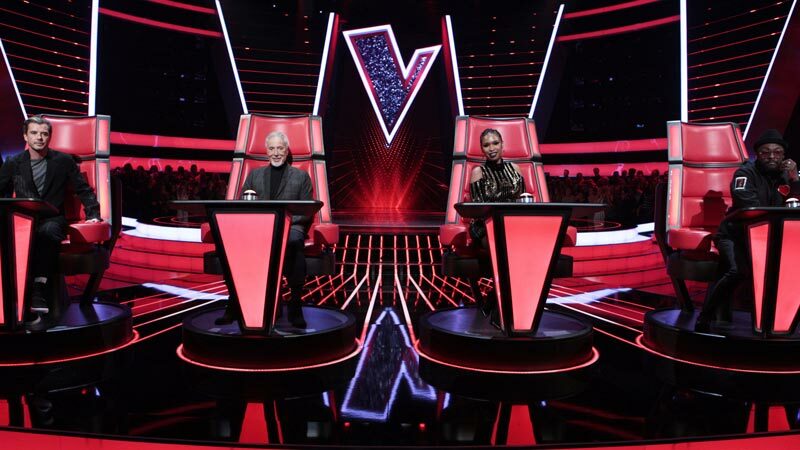 As a designer, I believe that no other studio complex comes close to offering the set up and logistical support that allows us to stage a production on the scale of The Voice UK." Julian Healy, Production Designer. "We've used MediaCityUK on The Voice UK for the past three years during our blinds, battles and knockouts, and couldn't be happier with the facilities and staff, who always go the extra mile." Clodagh O'Donoghue, Series Editor.